The Tandjung Sari is an ageless beauty. 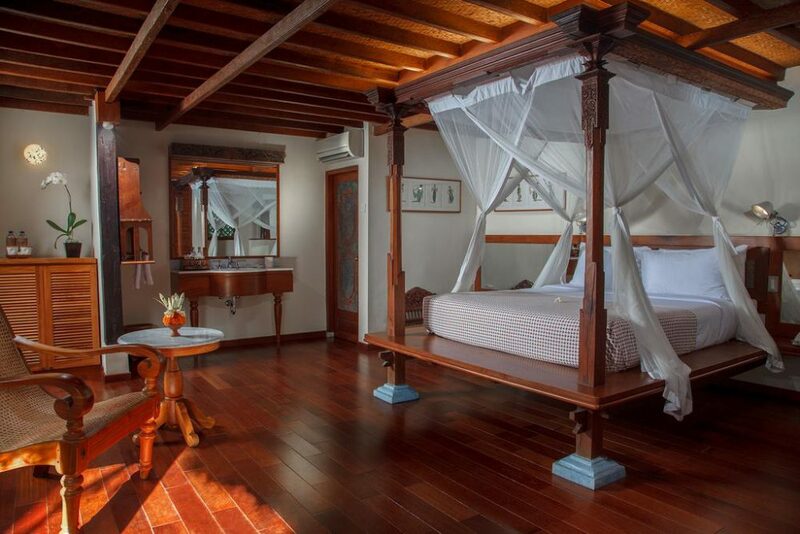 At more than fifty years old, this small hotel on Sanur beach, shaded by huge trees and quietly sheltering treasure at every turn, remains serene, discreet and elegantly modest. The Tandjung Sari did not intend to become the seminal boutique hotel of tropical Asia. it began in 1962 as a place to spend the night for its owner Wija Wawo-Runtu (1926–2001) and his English wife Judith when they came to Bali from Jakarta on shopping trips for their antiques business. Soon extra bungalows were built to accommodate friends, then friends of friends. It became a hotel almost without anyone noticing it; but within a few years it was internationally renowned among smart people as the place to stay, if you could get in.